The BT Staxio R-series contains four rider-seated stacker truck models with overhead guard to protect the driver during highly intensive stacking applications. These powerful stackers also provide optimum driver comfort, as a result of the adjustable seat and effortless steering. 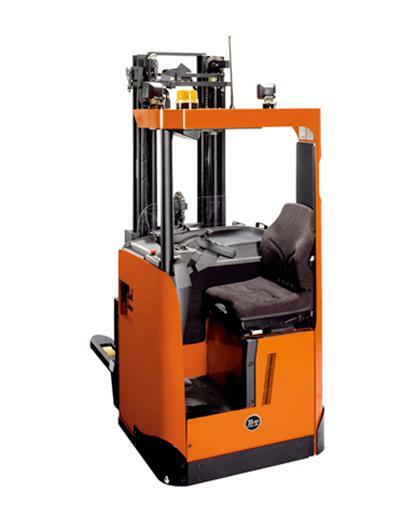 Double load handling is also an option thanks to the truck’s elevating support arms. 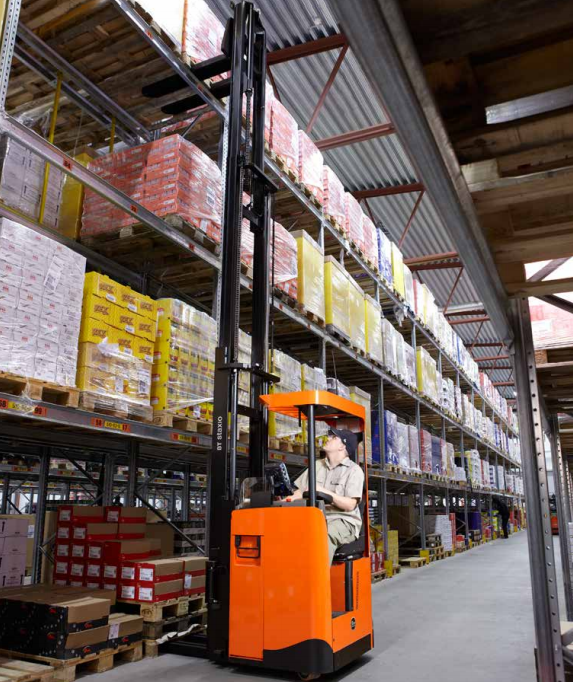 Suitable for intensive stacking operations, the BT Staxio R-series stackers offer increased productivity, with programmable parameters, plus high travel and lift speeds. Truck operators benefit from a transverse sitting position, allowing them to drive in fork and cab directions without changing position. Driver comfort is enhanced with effortless steering and an adjustable seat, and seated cab ensures comfortable and safe working over long shifts.